This verse has particular application for the young person who is about to engage in the intellectual and social combat that can be found on many of our campuses. Our colleges and universities are often “hotbeds” for non-Christian thought and life. The following examples bring this to our attention. A sociology professor asked her students, “How many of you believe that abortion is wrong? Stand up.” Five students stood. She told them to continue standing. She then asked, “Of you five, how many believe that it is wrong to distribute condoms in middle schools?” One was left standing. The professor left this godly young lady standing in silence for a long time and then told her she wanted to talk with her after class. During that meeting the student was told that if she persisted in such beliefs she would have a great deal of difficulty receiving her certification as a social worker. During the first meeting of an architecture class the students were told to lie on the floor. The professor then turned off the lights and taught them how to meditate. At a church-related university a Christian student was surprised to learn that one requirement in an art class was to practice yoga. In an open declaration on the campus at Harvard, the university chaplain announced that he is homosexual. George Keller, chair of the graduate program at the University of Pennsylvania, has described many college professors in the following manner. These are but a few of the many illustrations and statistics that could be cited as indications of contemporary college life. Are your students ready for such things? The following suggestions may be applied to help them in their preparation. The first suggestion is to help them develop a Christian world view. A worldview is a system of beliefs about the world and ourselves that influences the way we live. What system of beliefs do your students embrace, and does that system influence their total life? For example, if young people claim to be a Christian, that assertion implies that they believe certain things and those things should influence all aspects of their lives, including their intellects. College campuses are “hotbeds” for a multitude of worldviews. This does not necessarily mean there is an “openness” to the variety of ideas. Academic and religious prejudice are very much alive. But it does mean that students should be prepared for the reality of this diversity. For example, they need to realize that the majority of their professors will be naturalists who leave God out of everything and have contempt toward those who think otherwise. So how can students begin to think with a Christian worldview? James Sire has suggested a series of questions that can help determine what your students’ worldviews may be. (5) These questions are unusual and challenging, but my experience has shown me that once students begin to concentrate, the majority of them respond. Some say that something came from nothing. Others believe in an impersonal beginning. Or some assert that matter is eternal. Christians believe in a beginning caused by a personal God. 2. How do you explain human nature? One answer is that we are born neither good nor evil. Another answer is that we are born good, but society causes us to behave otherwise. Or others contend that we are evolved social animals who have instinctive traits that cause internal conflict. The Christian faith affirms that we are created in the image of God–but have a fallen nature. 3. What happens to us at death? Some believe that death brings individual extinction. Others presume that we are reincarnated. Christianity affirms that believers will spend eternity in heaven with God. 4. How does one determine right and wrong? Among the views held by non-Christians are these: ethics are cultural or situational; there is no free choice; “oughts” are derived from an “is”; or might makes right. The Christian position is that standards of conduct are revealed by God. 5. How do you know that you know? Many trust in the mind as the center of knowledge. Others trust in the senses; we know only what is perceived. The Christian understands there are some things we know only because we are told. God has revealed Himself. 6. What is the meaning of history? Some say there is no meaning. Some believe history is progressing to a heaven on earth. The Christian sees that we are being prepared for life with a loving and holy God. If you can encourage your students to consider such questions, they will be much more secure in the college environment. John Stott has written that “God certainly abases the pride of men, but he does not despise the mind which he himself has made.”(6) Your college-bound students should be encouraged to see their minds as vital aspects of their devotion to God. Third, help your student make Christian beliefs their own. Too often Christian young people spend their pre-college years repeating phrases and doctrines without intellectual conviction. They need to go beyond cliches. It will be much better for them to do this with you rather than a professor or another student who may be antagonistic toward Christianity. Paul realized that his young friend Timothy had become convinced of the truth of Christianity. Paul wrote to Timothy, saying “continue in the things you have learned and become convinced of, knowing from whom you have learned them” (2 Tim. 3:14). Paul praised the early Christians of Berea for the way they examined the truth. He wrote, “Now these were more noble-minded than those in Thessalonica, for they received the word with great eagerness, examining the Scriptures daily, to see whether these things were so” (Acts 17:11). If a student has ownership of his beliefs he is going to be much better prepared for the questions and doubts that can arise while interacting with contrary ideas. Fourth, encourage students to go beyond the “What?” to the “Why?” of their beliefs. As young people enter the last few years of secondary education, they begin to think more abstractly and begin to ask “Why?” more frequently. Paul Little speaks to this. The apostle Peter affirms the need to find answers to tough questions in 1 Peter 3:15. He writes, “Sanctify Christ as Lord in your hearts, always being ready to make a defense to every one who asks you to give an account for the hope that is in you, yet with gentleness and reverence.” If students are going to live and think as Christians on campus, they will be asked to defend their faith. Such an occasion will not be nearly as threatening if they have been allowed to ask their own questions and receive answers within the home and church. The fifth suggestion is to help students begin to break down the sacred/secular barrier. The first chapter of Daniel offers wonderful insights into this issue. Daniel and his friends were taught all that the University of Babylon could offer them, but they “graduated” with their faith strengthened. They entered an ungodly arena with the understanding that the truth would prevail. The sixth suggestion is to familiarize your student with Christian scholarship. “Christian students have available many books on Christianity and scholarship; they need to read these if they are seeking a Christian perspective in their studies.”(10) When I began my college career in the early 60s I had no idea there were Christian scholars who had addressed every academic discipline I might study. It wasn’t until many years later that this ignorance was alleviated. Christian students need to know there is help. A Christian scholar has written something that will help them sort out the many issues that come their way. Admittedly, this is probably the most difficult of the suggestions we have offered to this point. You may not know where to turn for resources. Begin with your pastor. If you don’t get the response you need, call a nearby seminary or Christian college that you trust. 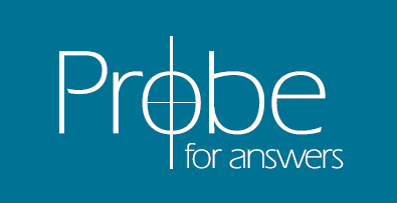 Or call Probe Ministries and purchase one of our college prep notebooks. These notebooks contains numerous bibliographies. The last suggestion is to teach them to ask first, “Is it true?” not “Does it work?” Of course the truth about any subject should be applied. But the student should first be as sure as possible that it is the truth that is being applied. There are things that are absolutely true, and the student needs to understand that, especially in a collegiate atmosphere that tends to deny truth. Jesus said, “If you abide in My word, then you are truly disciples of Mine; and you shall know the truth, and the truth shall make you free” (John 8:3132). He also said, “I am the way, and the truth, and the life; no one comes to the Father, but through Me” (John 14:6). The Christian student who is dedicated to Christ has insights to the truth that many of his professors, tragically, may never possess. In reading the preceding suggestions you may have begun to wonder how you could relate such ideas. The subsequent recommendations may be of help. First, do role playing with your students occasionally. This can be done either with an individual or a group of youth. For example, if you are working with a group, find someone from outside your church or school that the students do not know. This person should have a working knowledge of the ways in which non- Christians think. Introduce him to the group as a sociology professor from a nearby college or university. Tell the students you recently met the professor in a restaurant, at a lecture he was delivering, or devise some other scenario. Also mention that the professor is doing research concerning the beliefs of American teenagers and he would like to ask them some questions. Then the “professor” is to begin to ask them a series of blunt questions regarding their beliefs. The six worldview questions we discussed earlier in this pamphlet are apropos. The idea of all this is to challenge every cliche the students may use in their responses. Nothing is to be accepted without definition or elaboration. Within ten minutes of the closing time for the meeting the pseudo- professor should tell them his true identity and assure them that he is also a believer. After the students gasp, tell them you are planning a teaching series on apologetics so that they can be better prepared for the issues that were raised during the role play. Second, write to the colleges and universities that are of interest to your students. Ask to receive a catalog that includes course descriptions. Look through these descriptions and discuss the worldviews that are espoused. For example, the majority of course descriptions within the sciences are going to emphasize evolution. Read what is stated and talk about the assumptions that are inherent in the synopses, as well as the things that are left out that a Christian may want to consider. Third, show your students, by example, how to ask good questions. For instance, if naturalist professors begin to decry the moral condition of society, they are borrowing such a position from a worldview other than their own. Thus it may be legitimate to ask what brings them to the conclusion that rights and wrongs exist and how do they determine the difference? More role playing in this regard can be effective. Fourth, send your student to a Probe Mind Games College Prep Conference. Or, better yet, organize one in your own community. We at Probe have begun to travel around the country to help older youth, their parents, and college students prepare for contemporary college life. If you are interested in this possibility, simply call us at 1-800-899-7762. God has been blessing this wing of our ministry, and we would be honored to share it with you and help in any way we can. But whether it is through Probe, or through your energies, let’s do what we can to help our students prepare for the intellectual challenges of college life. 1. J. Stanley Oakes, “Tear Down the System,” The Real Issue, November/December 1993), 11. 3. George Barna, What Americans Believe (Ventura, Calif.: Regal Books, 1991), 83. 4. George Keller, quoted in “Examining the Christian University,” D. Ray Hostetter, Messiah College President’s Report (September 1993), 3-4. 5. James W. Sire, The Universe Next Door (Downers Grove, Ill.:InterVarsity, 1988), 18. 6. John R. W. Stott, Your Mind Matters (Downers Grove, Ill.: InterVarsity, 1972), 10. 7. Paul E. Little, Know Why You Believe (Downers Grove, Ill.:InterVarsity, 1968), 5. 8. Arthur Holmes, All Truth Is God’s Truth (Downers Grove, Ill.:InterVarsity, 1977), 16. 10. Brian J. Walsh, and J. Richard Middleton, The Transforming Vision (Downers Grove, Ill.:InterVarsity, 1984), 185.